What is Poetry? by Trudi Strain Truit (Lerner Publishing, September 2014) is an attractive nonfiction book for early readers. 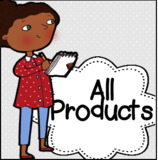 It teaches common types of figurative language and common formats of poetry (free verse, rhyming, and so forth). Even better, it provides sample poems to demonstrate the concepts. It has large text for the young reader, a glossary, and attractive images to keep children turning pages. 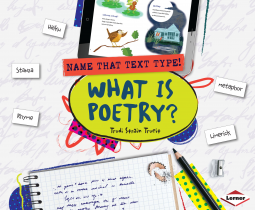 I can see my son enjoying this book, especially if I told him we were studying poetry in our homeschool. Although he sometimes decides on a nonfiction subject to seek out books for, I am not sure I can picture him picking this one up on his own unless he had something to spark his interest in poetry.